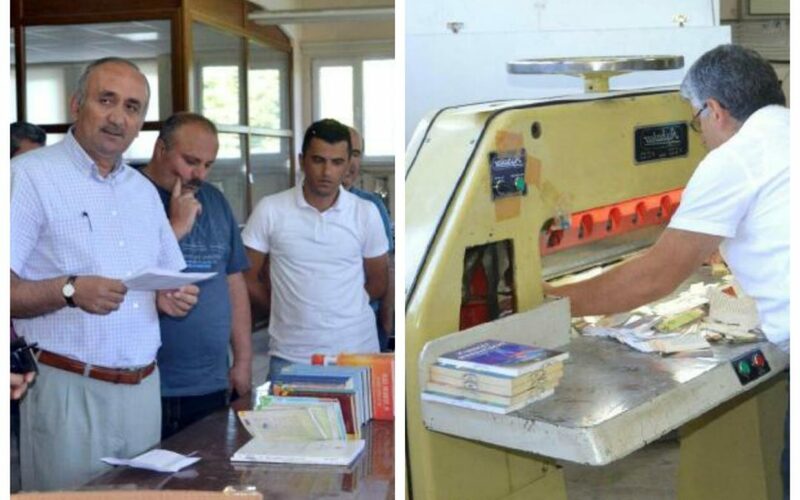 Turkey’s Sivas University pulled off the shelf of its libraries all copies of the books written by Fethullah Gülen and his alleged supporters and destroyed them via a shredder. The US-based Islamic scholar Gülen is accused by the Turkish government of masterminding the July 15 coup attempt. The cleric has denied involvement on many occasions. The state-run Sivas University recalled all books, magazines and other written publications by Gülen and his sympathizers from all its libraries and destroyed them in a ceremony-like meeting, on July 27. Early this week, Education Ministry was reported to have decided to destroy textbooks written by the alleged followers of Gülen.